Norwegian grocery stores will not sell ugly or too small potatoes – or too big cucumbers and rutabaga. Bama, the largest wholesaler of fruits and vegetables in Norway, say they follow the consumers’ wishes. – It has gone too far. Norway has become a wasting- and welfare society that has too much money and is throwing too much. If we had sent all to the most important school in Norway, the Home Economics School, they had learned to take care of the resources, says farmer Arne Braut to NRK. He says that the grocery store will not buy big cucumbers that do not fit into the “cucumber norm”, so they must be discarded. The Facebook page “Stygge poteter – ja takk” (English: “Ugly potatoes – yes please”) has got thousands of likes. The commitment is a spontaneous response to Bama that now are changing the requirements of how Norwegian potatoes should look. The people behind the Facebook page think Bama’s decision means that large amounts of edible food are discarded. Braut points out that while the shops say no thanks, chefs on the other hand, love small potatoes. – Chefs are aware that the smallest have the best flavor, small is great, they say. Bama thinks the Facebook engagement is positive but will still tighten the potato requirements. – The decline in the potato consumption in Norway in recent years is a clear answer to that the potato consumers have changed: They want better quality and bigger variety. What Bama has introduced is not a “beauty requirement”, but more careful screening of mechanical damages and damage to the skin that can cause inside damages in the long term, says Head of Information at Bama, Hanne Linnert to NRK. Why are not unwashed potatoes sold in stores? They have a longer shelf life than washed? – The unwashed potatoes disappeared several years ago, along with the potato bins, after clear feedback from consumers. 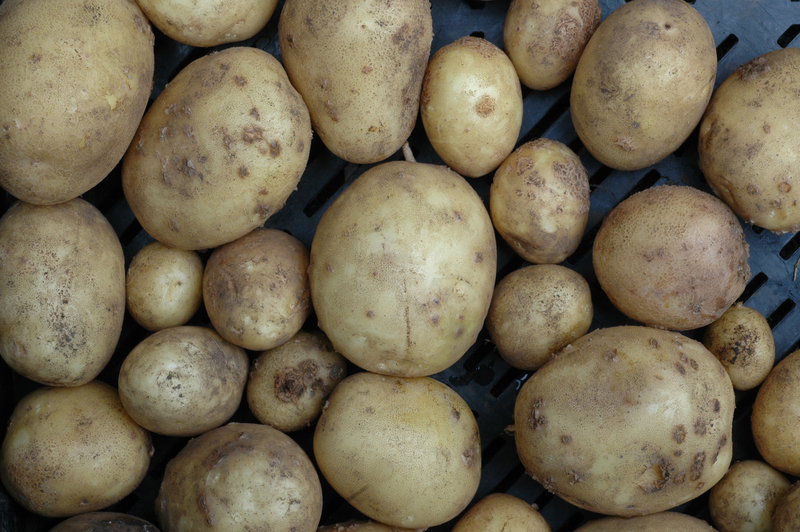 Sales of unwashed potatoes halted in favor of packaged products. If the demand turns, we will meet the consumer, says Linnert. Does Norway have a system where people can buy directly from farmers without the grocery getting a say? Yes, some farmers sell eggs and vegetables directly from the farm. More people should try this – the food is both fresher and cheaper! I love small potatoes. Great for roasts and taste much better. It’s such a shame although it’s not any better in Germany where I live however, I think a lot of people wouldn’t mind buying “organic” potatoes; dirt and all. We’ve been planting our own vegetables. We’ve only harvested 1 potato but the tomatoes, peppers and fruit did enormously well LOL!